We offer many services for your home. We install steel and asphalt roofing, vinyl siding, vinyl widows, insulated storm and exterior doors, cellulose insulation, flooring, pluming, heating and cooling, all indoor renevations or remodels! We also can get that deck or garage built that you have always wanted! Our metal roofing has a limited warranty for 40 years, by the factory, on the prepainted metal panels. We havce access to a variety of colors for you to pick from. The strapping and aluminum trim around the fascia board is included in our free quote. Take a look and see what color you would like best! We use the Landmark Series asphalt roofing from Certainteed . We've had lots of success with these shingles enduring the weather and time. They come in a veriety of colors and styles. They come with two warranties . One is an exclusive 10 year streak-free warranty. Then you can choose from a 30 year, 40 year, or a 50 year warranty that you can transfer should you sell your home. We use premium supplies for a long lasting roof. We can give your house a make over with vinyl siding! We come and take off the old siding and install vinyl siding with all the assesories to give your home a fresh new look. Mastic has been in the vinyl business for over 50 years. We can offer you different styles of siding panels with all those assesories like shutters, mantels, casings, moldings, corner posts, vents, blocks, and columns. 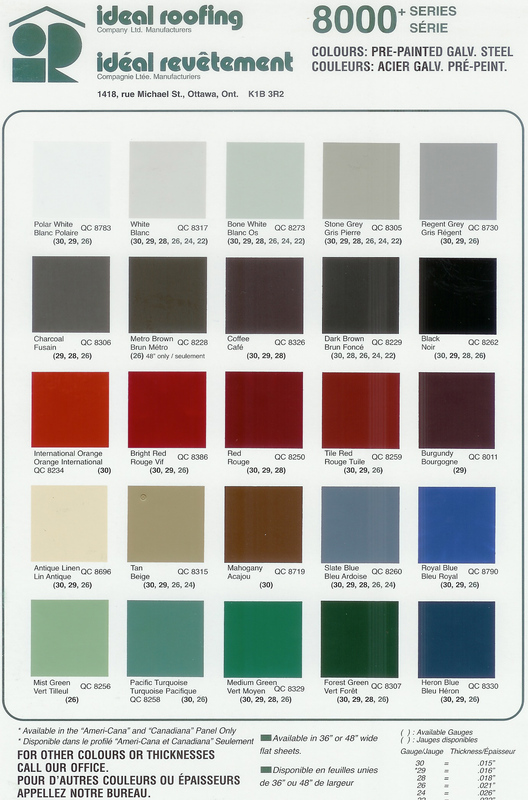 Mastic, also known as Alcoa, has the industry's widest selection of colors. One of the best ways to help lower your heating costs is to replace those old windows with vinyl windows from Paradigm Windows . These windows are made in Portland, Maine! With so many sizes and designs, you can give your home comfort and protection from the elements. We can frame out an addition, shed or a garage. For all roofing and floor trusses used are engineered trusses built right here in the County at Aroostook Trusses Inc. Need to build or resurface your deck? We use composite decking and railings. This decking is splinter free, and virtually carefree. The boards come in many colors. You can see examples of how nice your deck can look in our picture gallery! Saving you money is what we focus on when we insulate your home. One of the ways we can insulate your homes is with cellulose insulation. This recycled material gets blown in the many nooks and cranies within the extierior walls of your home. Then we can wrap your home with house wrap, keeping out drafts. And then for more insulation (and sound barrier so I'm told by many home owners) we put blue board on your home before installing the siding. These may be alot of steps, but when it comes to your home, taking the time and extra effort to proficently close up your home to save you time, money, and worry is worth is to us. We take pride in our work. Here at Modern Roofing and Siding, we take care to finish a job quickly, accurately, and in a safe manner while providing﻿ a safe work environment for our customers and our employees. They did such a good job. My house looks like a new house, I'm so pleased." "My barn came out beautiful. Thanks!" "Otis and his crew have the skill and expertise to get the job done and done properly." "Excellent company - very professional. Their language very professional at all times. Enjoyed having them around us." "We love our metal roof for it's look and the snow slides off; also the best price." "I've known this outfit since the early 70's. You don't stay in buisiness that long unless you are doing good work and satisfying customers." "You gave a price and stayed with it." "You do good work, your workers are great and very polite. You always cleaned the job site up every day after work. Good job, thank you very much." "The best price and quality of products." "We wanted someone we could trust to do the repairs in a professional manner. Your patience with us while making our decisions with what we wanted are greatly appreciated. Many thanks. "We are very pleased and your work was done in a timely manner. I would refer Modern Roofing to my family and friends." "It took you two days to repair my roof (with metal) when it would have taken two months with shingles. Excellent work ethics, best around." "I couldn't be happier! The workers, the work, the clean-up - just excellent! Thanks so much." "Great job! The work crew showed up early each day, and worked all day until the project was completed. I highly recommend them." "Very knowledgeable and friendly! I was very impressed by their workmanship and efficiency!" "First class job, thank you! Fast, professional, clean and tidy...and a great looking roof...and no more climbing to clear snow - hurrah!" "Good presentaion of how the job would be done and samples of the materials." "Most cost effective & affordable"
"Very helpful and willing to please their customers. Very dependable service." "We were very pleased with the final product and the intallation process on both jobs. Very courteous and respectful of the owner's wishes and wants for the project."